Core De Force | Country Heat | What is a Beachbody Coach | Where To Buy Shakeology | 21 Day Fix: Temptations are Everywhere! My top 5 tips to handle willpower. Temptations are Everywhere! 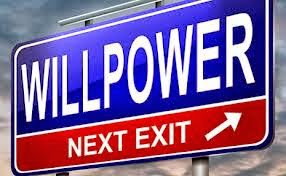 My top 5 tips to handle willpower. Willpower has always been a struggle for me. When I was younger and didn't have to be as cautious about weight gain, it wasn't really a problem. Once I was on my own, buying my own groceries, it became a problem! I LOVE potato chips! I could choose chips over sweets any day of the week. I resorted to "Baked" chips thinking they were a healthier alternative but when it comes down to it, they are still potato chips and they just aren't a good choice to make. Once I had kids my willpower went into another direction. I found myself snacking and eating much more often. Both of my girls like to graze all day. I try to stick to typical snack foods (whole grain fish crackers, graham crackers, fruit, veggies, cheese and crackers, etc.) but it never seemed to fail. I would always pick up a handful here and there and toss it in my mouth. Even if it is something healthy, like apple slices, the sugar adds up! Many times, I wasn't even hungry. It was just sitting there, right in front of me! Does this all sound familiar? Do you ever find that sometimes you eat just to eat, rather than eat when you are truly hungry? I was reading a short article in Women's Health and learned something about willpower. 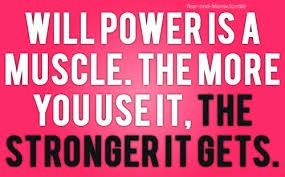 Research shows that willpower is a kind of mental muscle, and, like any other muscle, it can get stronger. I never really thought of willpower that way, but, looking back, my willpower (although not quite where I want it to be yet) has drastically increased in the past several months since I have made it a focus. I'm not going to lie, I still sometimes get caught up in eating something that I shouldn't, or eating something when I'm really not hungry. With Halloween right around the corner (next week already! ), this is what is sitting on my dinning room table right now. And just in case there isn't enough in that bowl, we have a whole other box full of candy! The smart decision would have been to get something "healthy" to hand out at trick or treat night this year; however, with the amount of kids that come knocking on our door, we took a cheaper route. Although I said that I tend to like saltier foods, I didn't say that I don't like chocolate! I found myself grabbing a piece here and there until I realized what I was doing! Needless to say, the candy has been moved downstairs. So, because willpower has been such a struggle for me, I wanted to share with you my top 5 tips that have helped me overcome the constant urge to give in. Before going in to my tips, I have a "pre-tip" for you! If you think that you are hungry and it is not a typical meal time for you, drink a glass of water and wait 20-30 minutes. 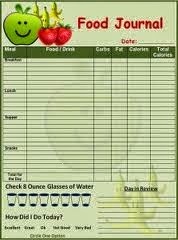 Many times our bodies confuse us into thinking that we are hungry when really we are dehydrated and thirsty. Ok, on to the tips! First, I started a food journal. In the notes section on my phone, I type up anything and everything that I eat throughout the day. That serves a few purposes. Once I began doing this, I found myself not wanting to have to pull out my phone and admit (to myself) that I have eaten when I shouldn't have. It was also helpful to see what I was getting too much of as well as not enough of. For example, as I started to clean up what I was eating, I hit a plateau. When looking back at my food journal, I could see that I was eating too much fruit and not enough vegetable. Yes, fruit is good for you, but the sugar adds up. Believe it or not, even too much of some healthy foods can affect your weight loss! Second, when I get the urge to snack or give in to an unhealthy choice, I like to focus my attention on something else. If it's nice out, I take the girls on a walk, play outside, or just play a game inside. If I haven't gotten my workout in yet, I do that. Sometimes I just go into another room, away from the kitchen and find something to do. Even if that means cleaning! 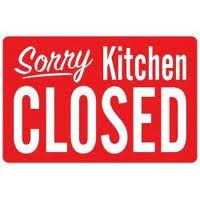 Having the mentality that the "kitchen is closed" helps me stay on track! Something else that keeps me busy is calling a friend, parent, or grandparent to chat for a little bit. All of those work like a charm. It's amazing how you can just completely focus on something else and get your mind off of eating! Third, I have an accountability partner. When I was taking part in a health and fitness support group, I was assigned an accountability partner. What we did was held each other accountable for what we were eating. If we ever got the urge to eat a sweet, we would message each other and talk each other out of it. Now that my group is over, who is my partner? My husband of course! I can't tell you how many times I have sneaked over while he was eating a bag of chips to grab a handful. He is always there to tell me no and that I will greatly regret it if I do it. And you know what, he's right! An accountability partner is anyone that you trust that will truly hold you accountable. An accountability partner is NOT someone who will give in to you and tell you "go ahead, you deserve it." If you are going out with a group of friends, tell your friends that you are trying to watch what you eat and lose weight. Have the group keep you accountable. If they are truly your friends and support what you are doing, they should be more than happy to help. Fourth, get rid of the unhealthy food! 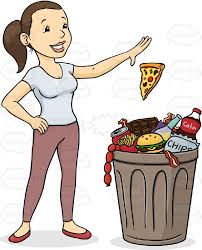 Yes, this will affect your entire family (in the long run, it will be good for them too), but getting rid of the chips, cookies, and other unhealthy foods you have in your house will greatly help you! If they aren't there, you can't eat them! If that is too drastic for your family, then have a family member hide their sweets! I know, it sounds silly, but that's what I did! My husband is great about eating the clean dinners that I make, but he still likes his chips and sweets! When he brings them home, or if I get them for him at the grocery store, I used to tell him to put them somewhere where I can't find them! Out of sight, out of mind! I've gotten pretty good with my willpower that his junk food can now be in my sight and I won't touch it. In the beginning; however, it was hidden! By doing this, I always have healthy snacks at eye level in my refrigerator and in my pantry, so if I find the urge to give in to something, it's at least going to be healthy! Along the same lines, I also throw away sweets/desserts that are left at my house. For example, over the summer a relative brought cupcakes for my birthday. Yes, I had one, and so did the rest of my family; however, there were still 4 cupcakes left. I knew I couldn't let those cupcakes sit in front of me on the kitchen counter so I made the decision to throw them away. They were store bought cupcakes that were full of sugar and quite frankly, my kids didn't need to eat them either. I know it sounds wasteful, but sometimes it's necessary. this tip that helped me overcome the urge to nibble on snacks with my daughters. Now that you know the things that have helped me increase my willpower, I hope you will give them a try! Feel free to post below any additional tips you have, or any tips that I mentioned that you would like to try. Let me know if it helps! If motivation, support, and accountability are what you need to reach your goals, contact me about joining in on my next health and fitness support group. I will arm you with the tools you need to get on the right track to success. I will address emotional eating, how to handle your upcoming social gatherings, help customize your meal plan and more! When I made and committed to that decision, I finally started seeing the results that I was looking for.